I love the Ventrac for tree work. 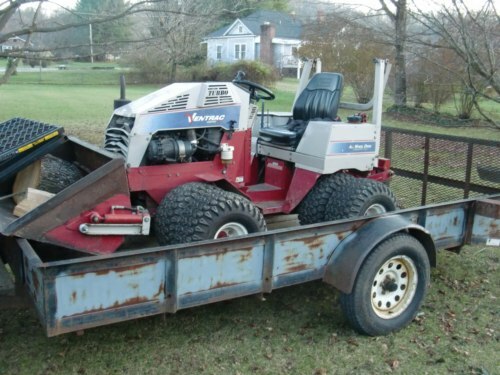 I own the 31hp turbo diesel which weighs about 1500lbs. 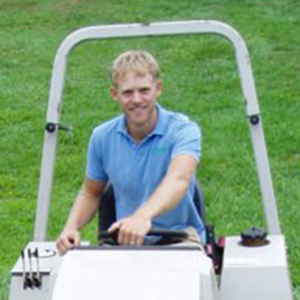 It is light enough to put it the back of my box truck and will do just about everything you need from a small machine. 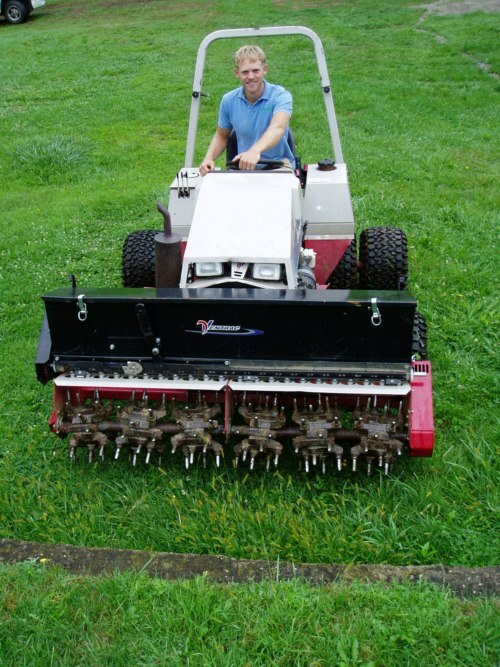 I originally bought it for the turf work that I do, lawn aeration and seeding. 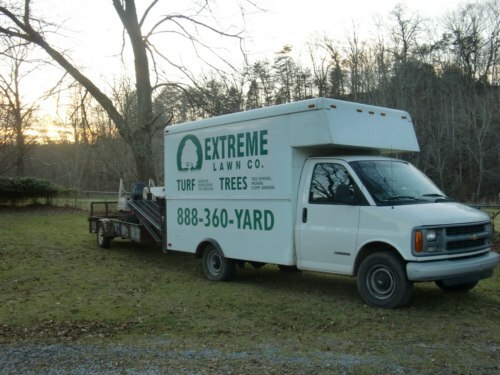 Most tree jobs I go to also have a turf aspect which is a great up sell. I also get a lot of pruning jobs from customers that call me trying to grow grass in the shade. So, the reason to buy it was the turf. 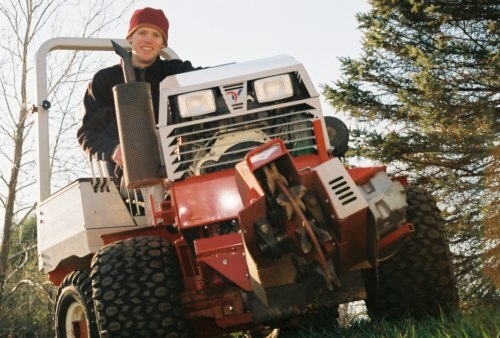 Since I own it, it is a great all-wheel drive tractor with a light footprint that will go anywhere. On tree jobs I built an oversize bucket that will lift 500lbs, have a stump grinder, debris rake, and it will pull our bc1000 chipper on level ground. 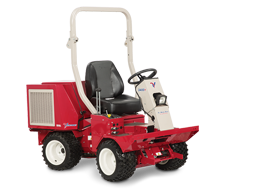 Chipper 4500lbs vs. Ventrac 1500lbs, LEVEL GROUND, only! They are $25,000+ just for the tractor. The main value is using all of the attachments. 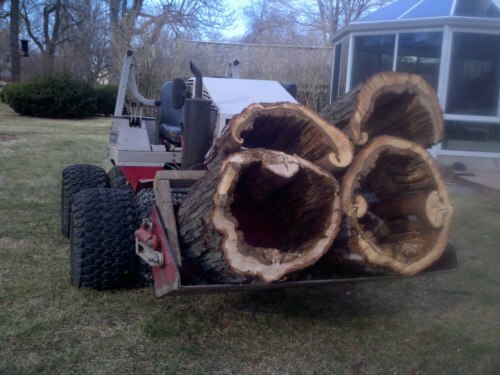 The biggest advantage is being able to show up at a tree removal job, haul off the wood, grind the stump, seed the yard, get paid, and leave in one trip. 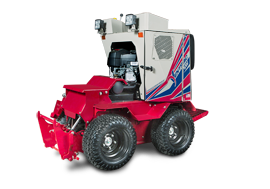 I forgot to mention the V-blade for snow, brush mower, landscape rake, and another 20 or so attachments you can put on it. I am almost done building a log arch that it will pull, and a grapple bucket. Advantages...ONE trip to job site, it will fit in the back of a pickup, it is small enough to not make a mess of the customers lawn, and big enough to get the job done! Great Machine! 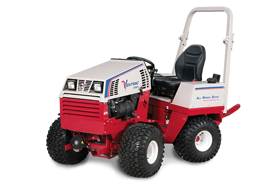 I love our Ventrac and use it on almost every job site!